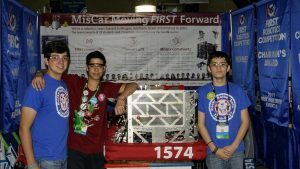 Team Members giving First Inspires Testimonials. Alexis giving her testimonial about First Inspires and How it has changed her direction in life. Roberto giving his testimonial about First Inspires and How it has changed his direction in life. Chandler giving his testimonial about First Inspires and How it has changed his direction in life. 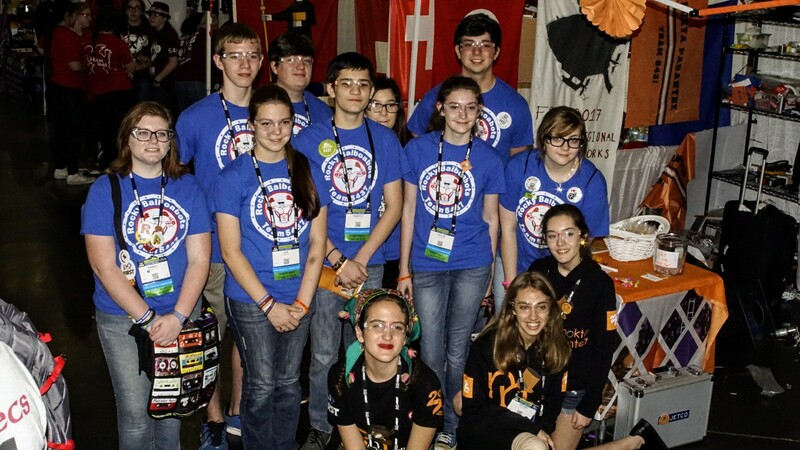 We are Team 5437, and this is us. We strive to change the world by impacting those not only in the communities around us, but also in communities miles away. We believe that through dedication, perseverance, and teamwork, anything can be accomplished. In our Chairman’s award, we tell of our humble beginnings as the underdog, and how we pushed through the hardships striking our town to assist in the attraction of the prosperous gazes of companies upon our promising area: All we needed was a chance to show it. These past three years have brought forth many new opportunities to the new generation of innovators living in our small town. 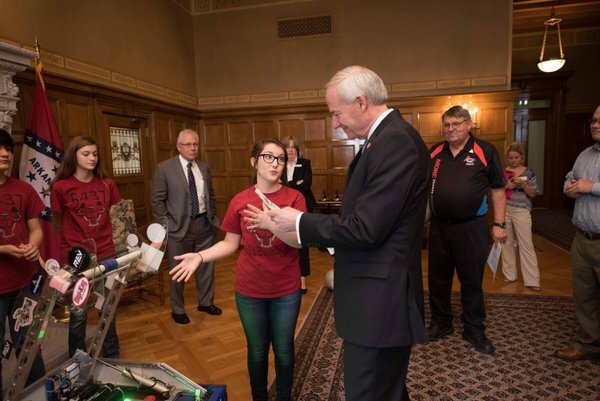 Our collaboration with the businesses and companies around us, along with the government officials in our town and state, has provided us the chance to introduce the next generation of workforce members to careers they might not have known of. The shot we were given when we originally learned of FIRST opened doors we didn’t even know existed, let alone ones we could actually walk through, hand-in-hand with other low income, hardworking communities. 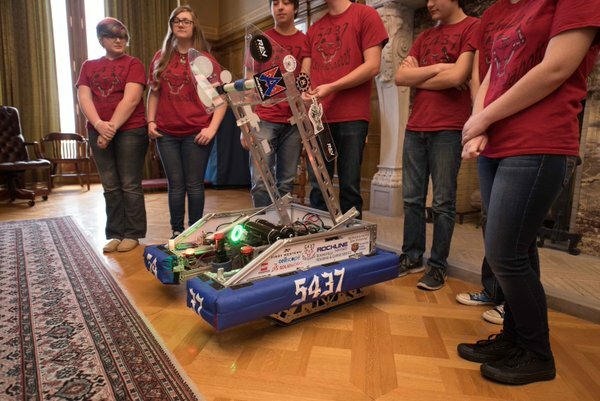 We are honored to be affiliated with such a powerful and inspiring vision of the future. On Tuesday, December 19, 2017 our team spoke with our state and community leaders about the influx of job opportunities brought about by the increased amount of quality workforce members established by our team’s coordination with FIRST. 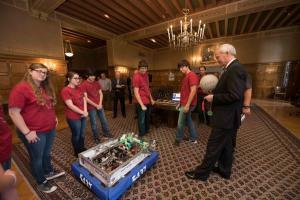 Robotics as a Stimulus for Economic Growth – Creating opportunities! 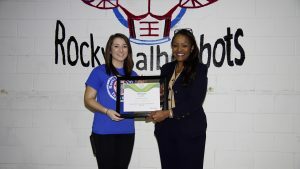 Over the summer our Team has been in talks with Rockline Industries about apprenticeships for the youth in our region. 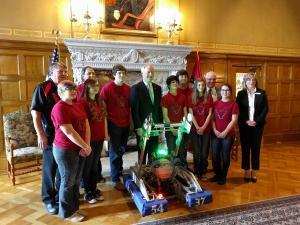 Rockline Industries operates a highly automated facility in Booneville, AR. Through our talks and negotiations, we have created an apprenticeship program available to First Robotics young adults. 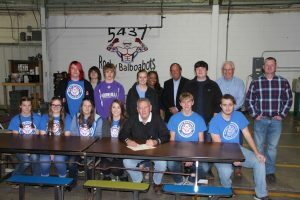 The Robotics Apprenticeship will allow First Robotics Youth to shadow selected staff at the production plant in Booneville showing them what industrial robotics is about. 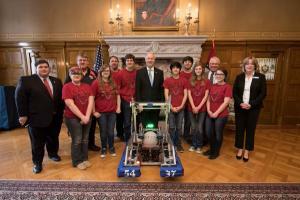 This is an initiative we have created to develop a Highly Qualified workforce for our region. 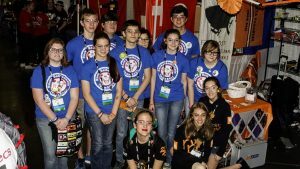 Team 5437 is sparking a Revolution! Please help us get it ignited! Our goal is to identify and empower youth on the spectrum by showing them that they possess unique skills and abilities. These abilities paired with high interest activities involved in our organization will help develop workforce skills and most of all social skills that will help them for the rest of their lives. While competing at the FRC Houston World Championship, the team had the opportunity to make some new friends from all over the world. 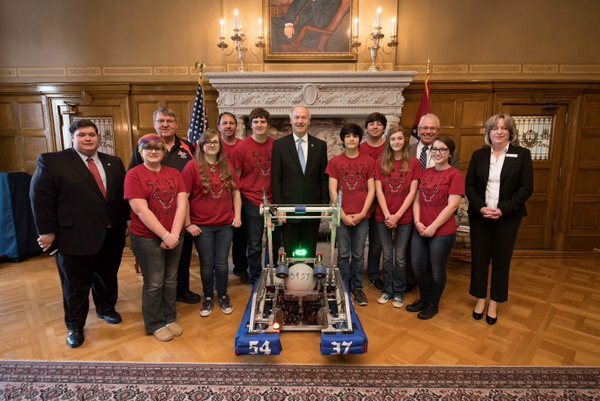 Pictured are teams from China, Switzerland, Turkey, and Israel. 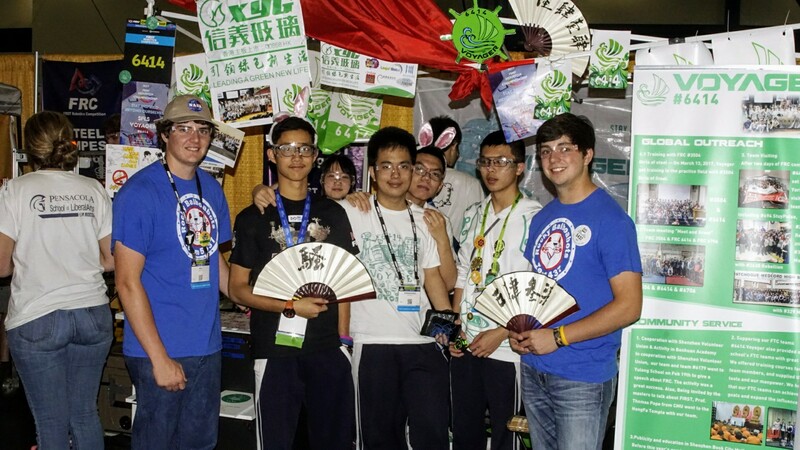 Will and Chandler pictured above with Team 6414 Voyager from Shenzhen, Guangdong, China. 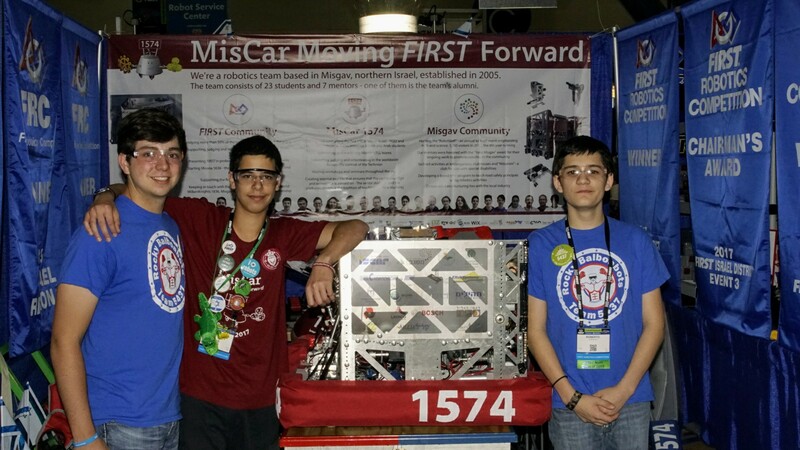 Chandler and Roberto pictured above with Team 1574 MisCar from Misgav, HaZafon, Israel. 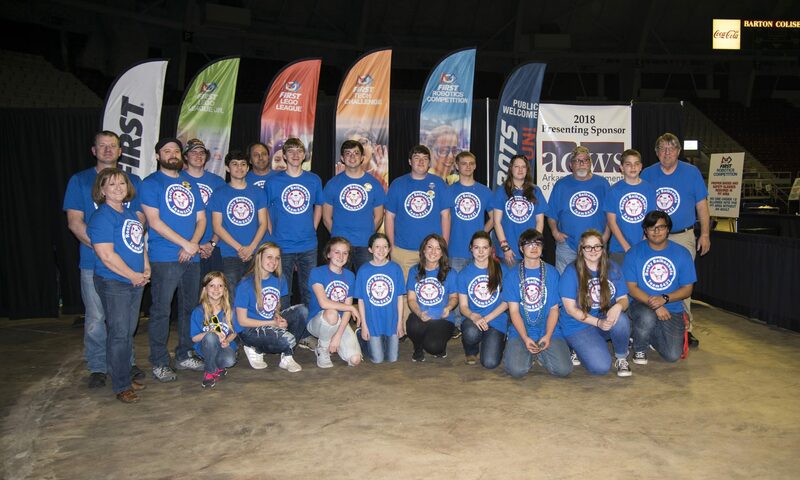 Ramsey, Joey, Austin, Drew, Roberto, Carmen, Taylor, Chandler, and Haley pictured above with Team 6431 NaktaParantez from Istanbul, Turkey. 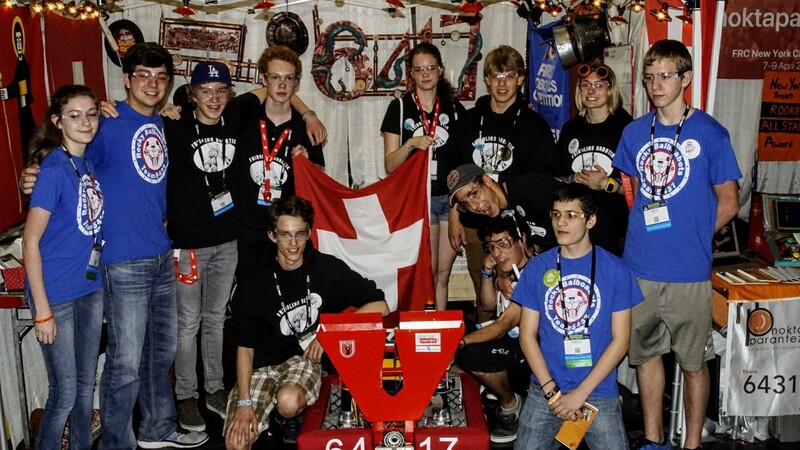 Taylor, Chandler, Roberto, and Austin are pictured above with Team 6417 Fridolins from Glarus, Switzerland. 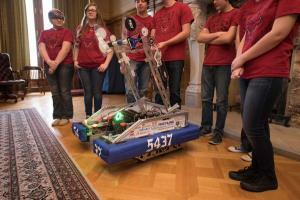 It was a big day for Team 5437. We had the pleasure to host four distinguished guests: Arkansas House Speaker Pro-Tem Rep Jon Eubanks, Arkansas Senator Gary Stubblefield, US Representative Bruce Westerman, and John Novak, a living legend in the Arkansas FIRST community. We took this opportunity to educate our Nations Politicians with a presentation. With our presentation “Robotics as a Stimulus for Economic Growth” we are educating the importance of a Highly Qualified workforce combined with our deep moral values and how this is a very valuable asset for our region. 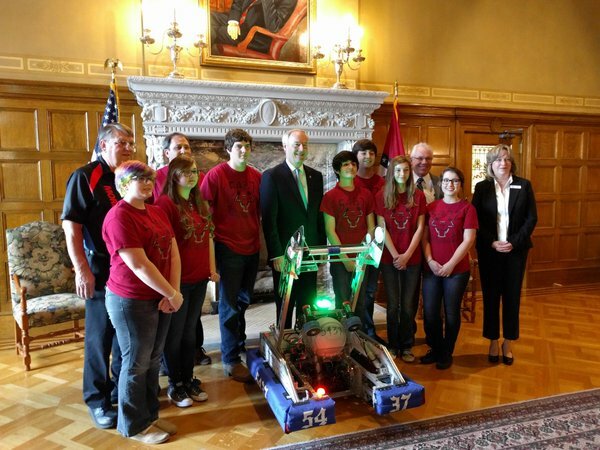 We especially want to thank Rep Eubanks and Senator Stubblefield for sponsoring our team! 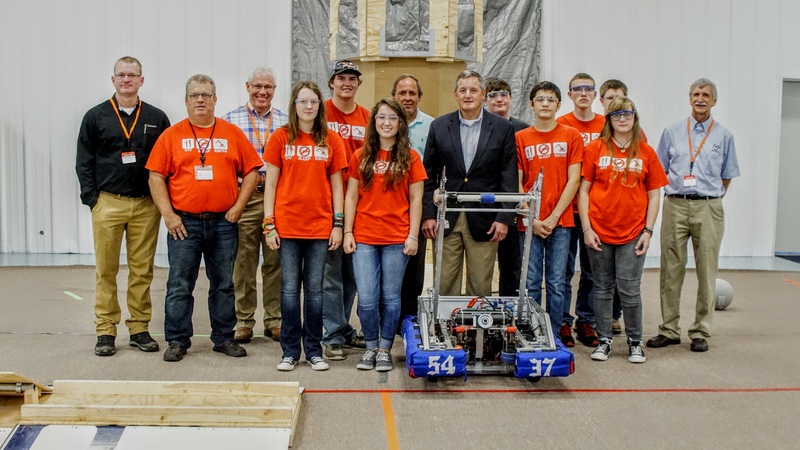 Our Team had the privilege to show Congressman Bruce Westerman our 2016 competition robot.